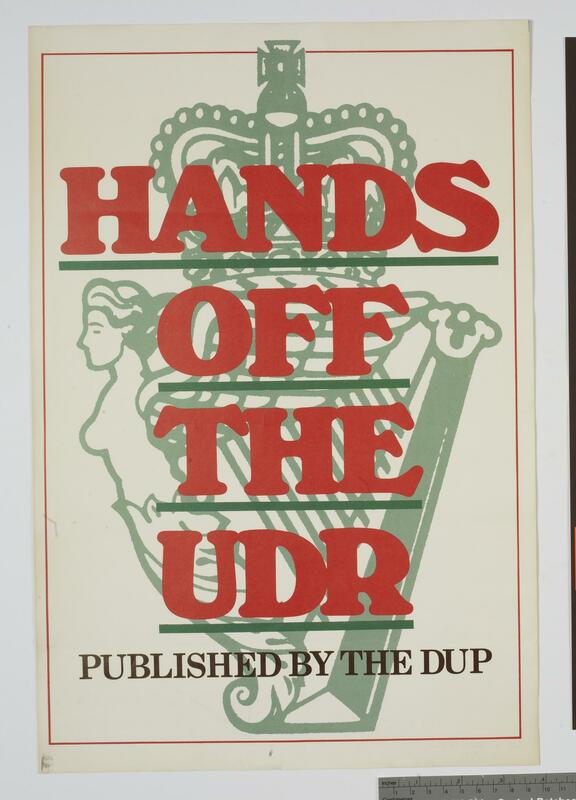 Poster published by the DUP (Democratic Ulster Party), 'HANDS OFF THE UDR.' Note on back: Castlereagh Road, 04/10/89. DUP opposing changes to the Ulster Defence Regiment, the locally raised and based regiment of the British Army. With the end of the cold war and the subsequent reduction in the overall size of British armed forces the UDR was amalgamated with the Royal Irish Rangers to form the Royal Irish Regiment in 1992.